With 10 days’ to go who is getting excited? The novelty Christmas cracker with the paper hat, the joke that it so silly it tickles you for hours, and not forgetting the who can get the most bizarre present inside, is a Christmas must have. 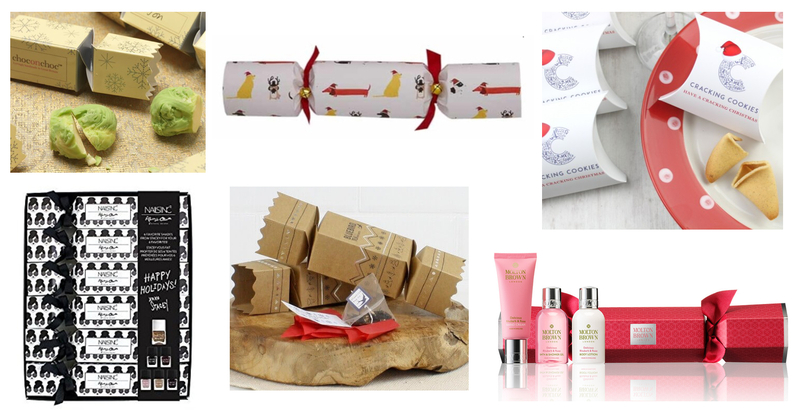 However that is not to say that we cannot be a little indulgent and have an alternative Christmas crackers. 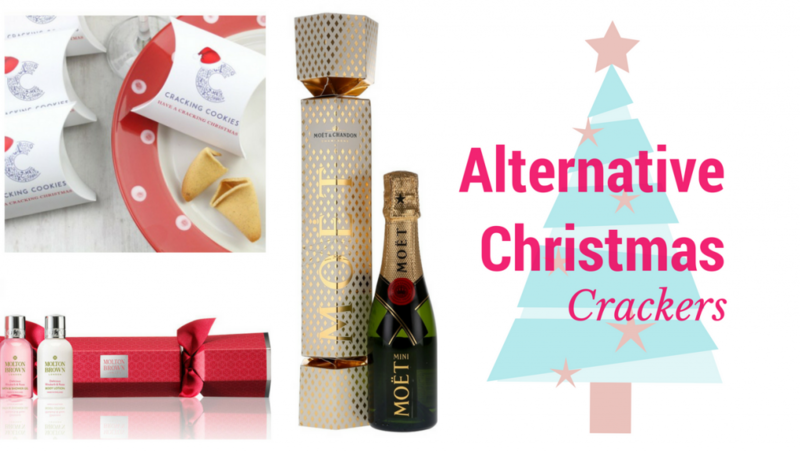 Over the last couple of years the array of alternative crackers out there has grown to a level where there is something for everyone, even your furry pets. I for one usually opt for a foodie one on the table, because obviously you need another treat to accompany the turkey and all the trimmings. 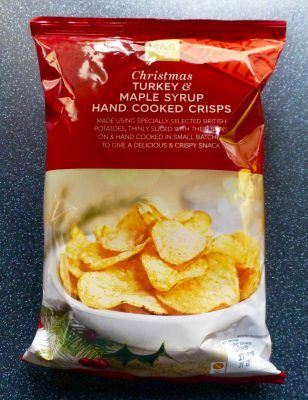 This year however has got me thinking that these would also make great little stocking fillers. They’re quirky, totes festive, and you don’t have to wrap them up… bonus! Here are my top picks of those that are out there. 1. Choc on Choc – Handmade white chocolate sprouts, enough to make anyone a sprout lover. 2. Fortnum & Mason Cat Cracker – It’s not just us who should get in on the cracker action, doggie and kitty crackers are now a thing. 3. Cracking Cookies Fortune Cookies Crackers – With flavours ranging from Apple Pie, Peppermint and Gingerbread, these are the most exciting fortune cookies I’ve ever seen. 5. Bluebird Tea Co.– Tea lovers rejoice with these handcraft crackers with tea related jokes. 6. Molton Brown – My all time favourite fragrance of theirs is now in cracker form. 7. 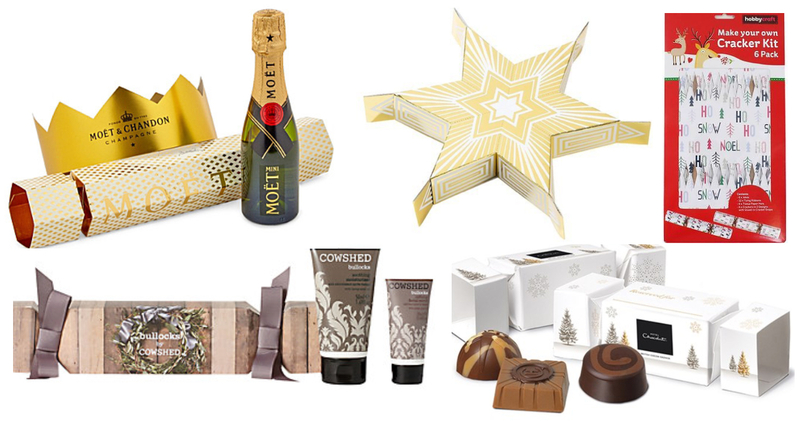 Moet & Chandon – who wouldn’t want champers in a cracker? 8. Sharing Star Cracker – with star confetti and photo props, get the whole family involved with this 6 person sharing cracker. 9. Hobby Craft Make Your Own – fill them with whatever you like, giving it that personalised touch. For those questioning if they are fiddly fear not, I can confirm they are easy peasy. 10. Cowshed – Just for men. We all know men love skincare as much as us ladies. 11. Hotel Chocolat – 10 mini crackers filled with one delicious chocolates, perfect for the table or the tree. Those white chocolate sprouts look awesome! 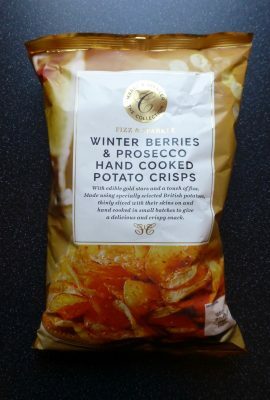 Do they count as one of our five a day?